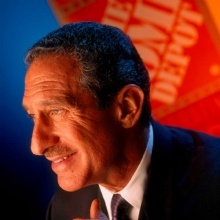 Arthur Blank (born as Arthur M. Blank in Sunnyside, New York, U.S.) is a famous Businessman from USA, he is 76 years old and still alive, born September 27, 1942. Arthur M. Blank is an American businessman and a co-founder of The Home Depot. Today he is known for his philanthropy and his ownership of the Atlanta Falcons in the National Football League. He is born under the zodiac libra, who is known for Balance, Justice, Truth, Beauty, Perfection. Our collection contains 6 quotes who is written / told by Arthur. "If something happens, you have to realize that you can't just yell at people all the time"
"My job, when it comes to free agency, trades, is not to pick players, but support the personnel department and the coaching staff. We have to have the financial resources to make things happen and that's my job"
"We're the largest home improvement company today, and we did $30 billion last year, or less than 10 percent of the total amount of building materials sold in the U.S. So when people ask, how much runway left does Home Depot have, it's an awful lot"
"My commitment to Atlanta and passion for sports and competition make this acquisition a perfect fit for me"
"We will ensure that associates continue to possess unsurpassed product knowledge and maintain their dedication to customer service and respect for their colleagues and for the communities in which they work and live"
"Passion and standing up for things can help create a sense of unity. But you still have to act a certain way"